The decision to protect land from development is perhaps one of the greatest acts humans can make to help preserve our natural resources upon which all life, including humans, depends. Whether it’s a part of an integrated land use management plan that includes limited development, or a set aside for agriculture and timber, or a wilderness preservation project, it requires knowledge, skill, and foresight. To properly plan for, fundraise, transact, legally protect, and steward land typically takes a team of skilled practitioners. Dr. Rick Van de Poll, principal of EMC has been at the ground level with all aspects of land conservation. EMC has worked for more than 35 land trust in northern New England by providing assistance in acquiring, inventorying, assessing, and managing land resources. 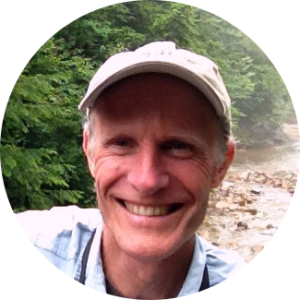 Dr. Van de Poll regularly completes field surveys that satisfy the needs of baseline documentation reports (BDR’s) and stewardship plans, especially those that are required for ARM Fund grants. Between 2010 and 2018, Dr. Van de Poll was the land monitor for 30,000 acres of land owned by the Sweet Water Trust, and regularly monitors various properties for other land trusts and towns. Dr. Van de Poll has a wide range of wildlife biology sampling skills, and performs rare and endangered species surveys for all types of vertebrate and invertebrate wildlife. In his capacity as the founding President of the Northeast Wilderness Trust, Dr. Rick Van de Poll has helped protect over 12,000 acres of land. Dr. Van de Poll has also written a number land conservation grants and provided guidance to towns and land trusts in adhering to the Standards and Practices of the Land Trust Alliance.